Lily is a total beach bum and enjoys the Pacific Ocean regularly; she has even been known to go for a boat ride on the nearby lake, but today was her first swim in a pool. She did excellent, and we had such a good time with all of our dachshund friends. Check it out! 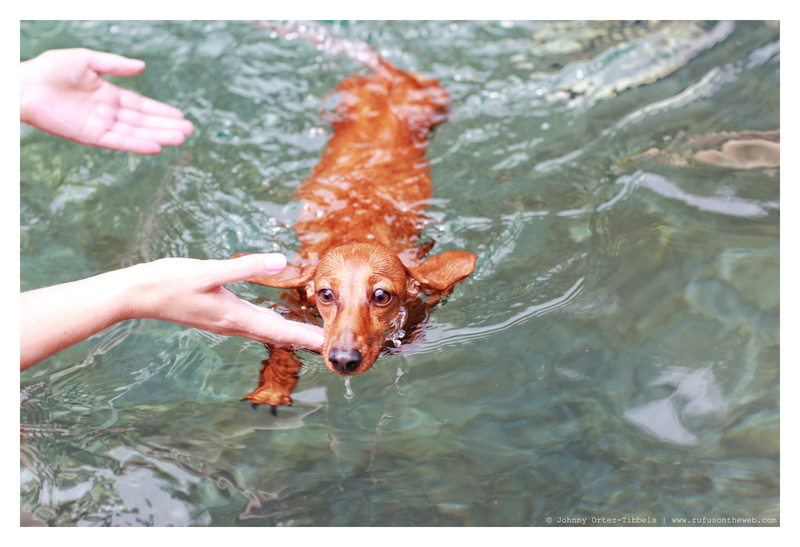 This entry was posted in Lily and tagged #ADachshundsLife #HappyHounds, #dachshund, #dachshund puppy, #PoolParty, #red dachshund, #RedDachshund #RedRegalDachshund, #smooth dachshund, #WienerDogs #HotDogs, doxies. Bookmark the permalink. Lily is a good swimmer!! She looks so cute!! Hugs to her! !